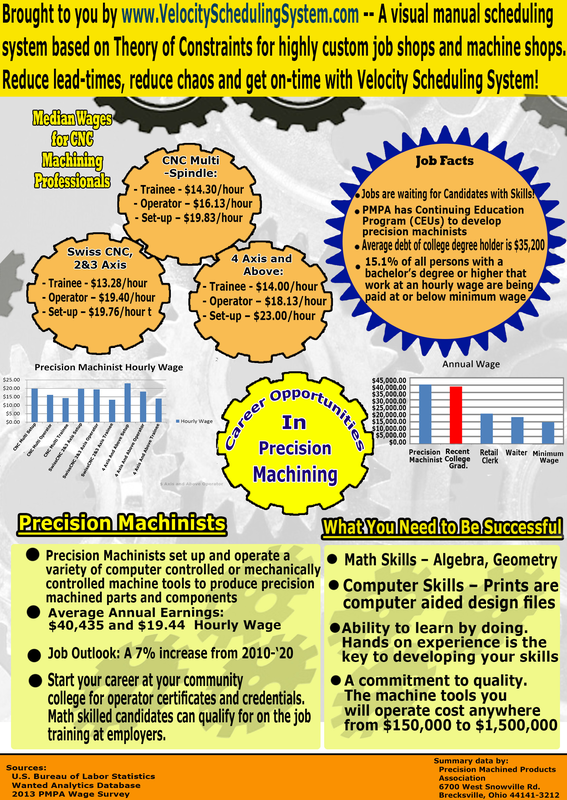 We were pleased to see the infographic approach used by Dr. Lisa Lang to summarize the career opportunities in Precision Machining. 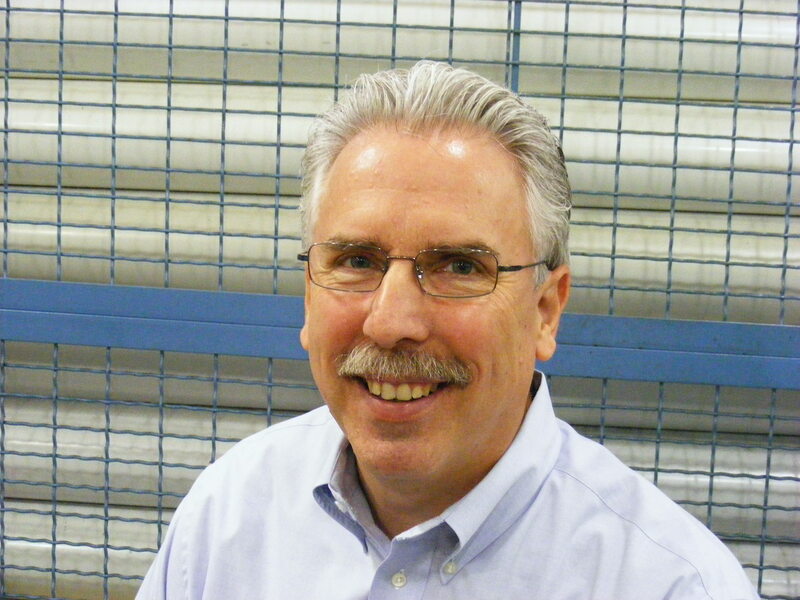 “Our interest in this area is because we work with custom job shops and machine shops. Our Velocity Scheduling System helps these shops get more done with the SAME people and resources. It’s NOT software, but a manual visual scheduling system for job shop scheduling and machine shop scheduling. “The shops we work with increase their productivity WITHOUT adding people or machines. The result is that their customers notice the improvement in lead-time and on-time delivery and give them more business. Sometimes this additional business is so substantial that they finally do need to add people. But that’s okay at this point because profits and cash flow have improved. The problem is that it can be a real struggle to find qualified employees. “There has been a lot in the news lately about the shortage of skilled manufacturing labor while at the same time, there is a push to reshore manufacturing back to the U.S.
“The dilemma is clear and we need more kids going into manufacturing. This entry was posted on Wednesday, December 11th, 2013 at 3:34 am and is filed under Career. You can follow any responses to this entry through the RSS 2.0 feed. You can leave a response, or trackback from your own site.